Dec. 23, 2015 – ZeOmega® Inc., a market leader in population health solutions, today announced that it ranked No. 54 on the 2015 SMU Cox Dallas 100™, a prominent list of the fastest-growing privately held companies in the Dallas area. Increasing industry need for proven population health management technologies continues to fuel ZeOmega’s growth, resulting in the company’s placement on this list for three years in a row. Read More. Nov. 16, 2015 – ZeOmega® Inc. today announced that one of the largest accountable care organizations (ACOs) in America has selected ZeOmega’s Jiva™ population health management (PHM) solution to better coordinate care for 50,000 lives across more than 1,100 network providers. The ACO is part of a prestigious healthcare organization that includes a world-renowned academic medical center in an urban area with more than 7 million residents. Nov. 13, 2015 – ZeOmega today announced it ranked 320 on Deloitte’s Technology Fast 500™, a ranking of the 500 fastest growing technology, media, telecommunications, life sciences and energy tech companies in North America. ZeOmega grew 204 percent during this period. Nov. 3, 2015 – ZeOmega® Inc., a market leader in population health solutions, has received the inaugural Momentum Award sponsored by Travis Wolff, LLP, the Dallas Business Journal, and Comerica Bank in recognition of its historical successes as one of North Texas’ fastest-growing companies. ZeOmega received the honor at the annual Fast Tech Reveal event in August. June 1, 2015 – ZeOmega Inc., a market leader in population health solutions, will present provider collaboration solutions including an HIE-enabled Jiva platform that, among other things, solves interoperability issues for payers seeking to collaborate with providers in their community. ZeOmega will be in booth #521 at the America’s Health Insurance Plans (AHIP) Institute 2015, June 3-5, at Music City Center in Nashville. Read More. April 29, 2015 – ZeOmega Inc., a market leader in population health solutions, will host Connections15, the third annual ZeOmega Client Conference, May 4-6 in Plano, Texas. Featuring multiple clinical and technology breakout sessions, this event enables ZeOmega’s growing client base to gain insight on current and future product developments, interact directly with company management and staff, and offer feedback on the company’s technology solution footprint. Read More. April 21, 2015 – ZeOmega Inc., a market leader in population health and care coordination solutions, today released its annual clinical content update which enables its clients to access the latest best practices in evidence-based medicine and care management. 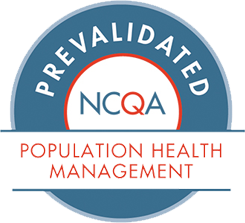 The interactive clinical protocols are built on industry standards such as NCQA HEDIS and are fully integrated with Jiva, ZeOmega’s end-to-end population health platform. Jiva enables event-driven care coordination workflows that empower care teams to collaborate on a patient’s care needs. The interactive clinical protocols empower healthcare organizations to automatically generate care plans that are personalized to the patient’s specific needs and trigger care coordination activities across multi-disciplinary care teams. Read More. April 8, 2015 – ZeOmega Inc., a market leader in population health solutions, today launched Jiva Integrated Medication Management, which gives providers and health plans the embedded intelligence and workflow needed to integrate medication management into the overall care management process. This will help healthcare organizations more effectively identify patients who could benefit from medication, case, or disease management, particularly those impacted by chronic diseases such as hypertension, coronary heart disease, stroke, diabetes, cancer, and other pulmonary issues. Read More. March 23, 2015 – ZeOmega Inc., the market leader in population health management (PHM) solutions, today announced the acquisition of HealthUnity® Corporation, an innovative provider of interoperability solutions that enable providers, payers and public health organizations to streamline the secure exchange of patient data across disparate systems. Read More. Feb. 19, 2015 – ZeOmega Inc., a market leader in population health management solutions, today launched Jiva for Maternity Management, a packaged solution that gives hospitals and health plans the analytics, evidence-based care plans, and care coordination workflow needed to more quickly identify and better manage at-risk pregnancies. Expectant mothers will benefit from tighter coordination of key services and highly focused communication, education and monitoring as part of their maternity management program. Read More. Jan. 14, 2015 – ZeOmega Inc., a market leader in population health management solutions, today announced it ranked No. 53 on the 2014 SMU Cox Dallas 100™, a list of the fastest-growing privately held companies in the Dallas area. ZeOmega’s consistent revenue growth, driven by the healthcare industry’s demand for population health technology, moved ZeOmega up nine spots from last year’s ranking. Read More.